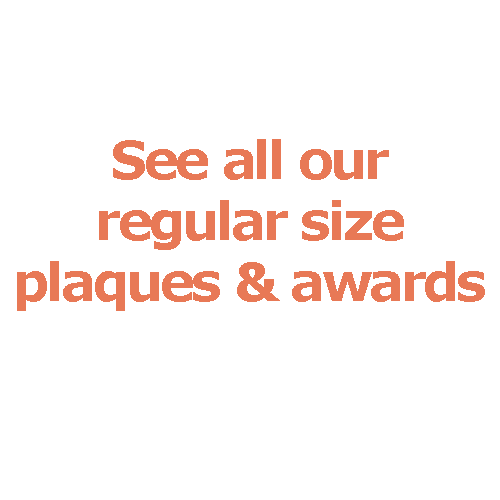 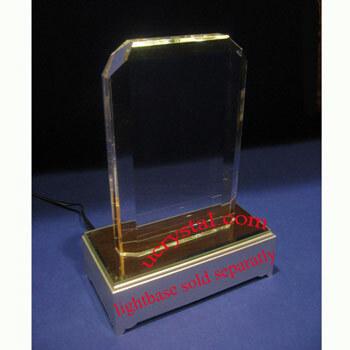 Recognition crystal, rectangular, bevel edge, corner-cut without base. 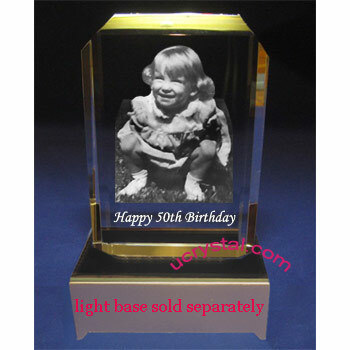 Size: 4” width x 5-3/4” height x 1” thickness. 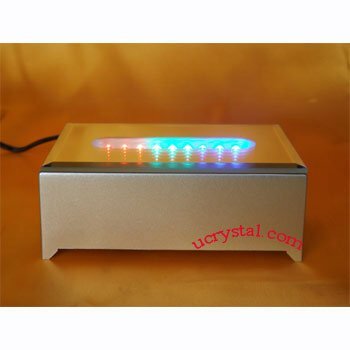 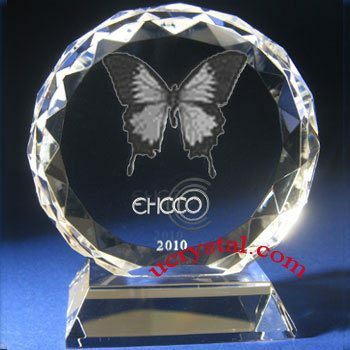 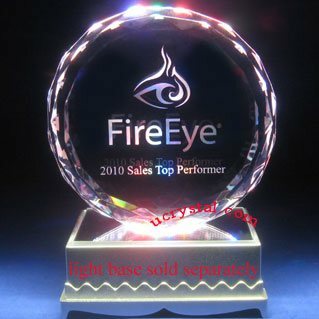 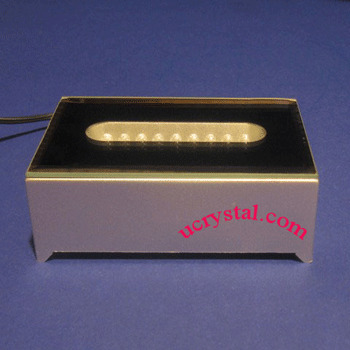 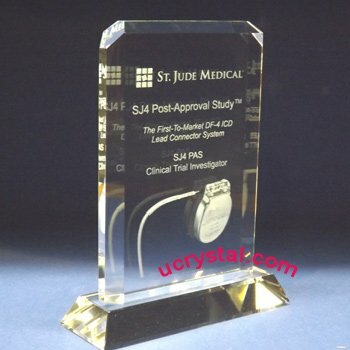 The engraved crystal is best viewed with a dark background, or on a crystal light base.